Children have an inbuilt drive for discovery. Encourage your child to observe the world and to feel a sense of wonder for everything in it. 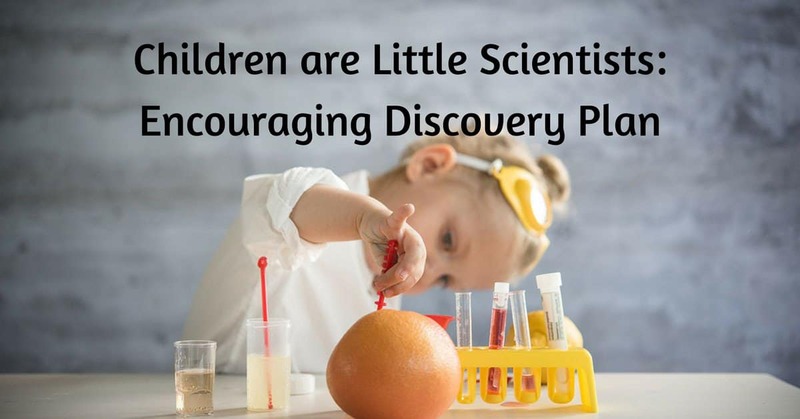 Maria Montessori believed that all children behave like “little scientists” in that they are eager to observe and make “what if” discoveries about their world. Infants and toddlers test the environment to see what happens when, for example, they drop a toy out of their highchair or play with the water in their bath. This drive for discovery continues to develop as they grow and become more adventurous in the things that they try out, from making mud pies in the garden to starting a worm farming the living room. Children are born with marvelous imaginations and a keen desire to explore the world. Encourage this in your child—help her to discover the beauty and wonder of everything around her. Child’s eye view Remember that your child’s world is up close and low to the ground. Seeing life from her point of view can help you to rediscover the sense of wonder of a young child. Keep in mind the slow moving pace of her world. Follow your child’s lead, and be prepared to stop and examine anything that captures her interest—a ladybug or a flower, for example. Don’t get impatient when she dawdles—adjust to her pace. The best way for children to learn is by doing things, not by being told about them. This is especially true when they are young, but it also applies to older children and even adults. When children are young, they are not only learning things, they are learning how to learn. No book using words and illustrations to describe the world that exists around a small brook or under a rotting log can replace the value of spending time closely studying the real thing. Books and other materials help children to pull these powerful impressions and experiences together in their minds, but the foundation needs to be laid in direct observation and hands-on experience. Stewards of the planet Another key Montessori idea is that children are stewards of the Earth and must learn to care for distant places such as rainforests and ice caps as well as pockets of nature within the city or suburbs, and to preserve them for the future. Teach your children a reverence for life. After all, we are all part of the web of life, dependent on the delicate balance within the natural world for our own existence. For example, children often learn to think of the soil as “dirt,” a word that implies something nasty to many people. Teach them to respect good, rich soil and all the life that it supports on our planet. Emphasize the need to treat every living thing with care. Teach your child not to pick leaves and flowers aimlessly then toss them aside, but to gather them only for a good purpose. It is OK occasionally to gather wild flowers, then dry or press them or place them in a vase with water to preserve them for as long as possible, but never over-pick any one plant or flower. Teach your child to walk gently upon the Earth, taking only what she needs. Encourage your child to enjoy the forest and meadows, leaving nothing behind. Teach her never to litter. If you see trash on the ground, pick it up and carry it with you until it can be thrown away. This is especially true of bottles, broken glass, cans, and plastic bags, which are not only unsightly but also could harm animals. To gather up cans and broken glass safely, you might carry an old canvas shoulder bag. As your child gets older, give her a bag of her own to collect trash in, too. Small children want to be part of your world. For them, work is every bit as much fun as play if they are given the chance to do it. The best way to encourage your child to try new skills is to demonstrate precisely and slowly in simple ways that he can understand. Then give him time to practice, and to be allowed to make his own mistakes and correct them. Try looking at the world from your child’s perspective. By giving him clear boundaries and careful guidelines, you can allow him to learn how to do things for himself and give him the self-respect and confidence that come with independence. A matter of size The first step is to seek out tools and utensils that are the right size for your child. Most of the tasks young children can do are much easier if they have equipment made in a size that is right for their age. Most parents can find child-sized toothbrushes, but there are also child-sized cups, plates, forks, spoons, watering cans, brooms and brushes, and even tubes of toothpaste. The real thing Children can easily stir things that are cool, wash vegetables, or learn how to set the table. Children do not always want to do what we are doing, and I am not suggesting that you should make a young child wash the dishes when she really wants to play. Buy child-sized cutlery. Outlines of each piece show your child how to set the table and where to place her plate and cup. But when children ask or show that they want to help, be ready to show them how. And, if you’ve taken the time to organize your kitchen to provide a small worktable and some child-sized basic tools, they are more likely to ask, help out, and come back again and again. Step by step Many of the things that we do every day involve several different skills, each of which we learned along the way. By breaking tasks down into small steps, you can help your child to master each level of difficulty, one at a time. Take this approach when you want to teach your child how to sort clean socks in the laundry or put flowers in a vase. Think about each step and how you can make it simple to follow. Explain each step with just a few words as you demonstrate it, so your child concentrates on what you are doing rather than what you are saying. Then let your child practice until she is competent at each stage. Learning to ride a bicycle is a good analogy. When children are ready, parents often give them a tricycle, and let them learn how to mount and dismount, how to steer, and how to work the pedals. As safe as tricycles are, they usually do not have brakes, and we are careful where we let our children ride them. Eventually the time comes when children ask for a “big kid’s bike”. Parents choose a bike that is the right size for their child, and it comes equipped with training wheels. Those extra wheels help keep this much larger bike upright, and allow your child to get used to the pedals, steering, and brakes. Slowly, they become more and more confident until they ask us to remove the training wheels. Before you know it, they are zipping around on their bikes, and you constantly have to remind them to wear their safety helmets! Step by step, this process of mastering an everyday skill is made easier by careful planning, and patient instruction and support from parents. Lessons such as these continue as your child grows up, until they are grown. The process of teaching your teenager to drive is a good example of an everyday life skill your child learns when she is almost grown. Leaning how to deal with conflicts with friends, manage savings, and plan a small party, are other examples. Perhaps one of the most difficult things to do as a parent, once we have taught our children new skills, is to then allow them to continue to practice these tasks as part of their everyday life without interfering. We would never suggest that a child who has learned to ride a two-wheeler bike goes back to training wheels, but how often do we continue to bundle a child into her coat or shoes long after she is capable of put them on without our help? A sense of order A key element in teaching your children everyday life skills is keeping everything tidy. In their crucial sensitive period for order, their world needs to be well organized. If they are taught where things belong, and how to return them correctly when they are finished using them, they internalize this sense of order, and carry it with them for the rest of their lives. Teach your children to take only one toy or book off the shelf at a time, and to return it to the same place when they are done. Most of us can be overwhelmed by the chaos that quickly develops around the house if we leave things lying around. Children are particularly sensitive to this. While they are most often masters at creating a mess, most find it difficult to clean up after themselves. The most efficient approach is to clean up as you go along. While some children may be born with a “neat gene”, children can be taught right from the start to work and play in a tidy way without stifling their creativity or stripping playtime of fun. The secret is to establish a ground rule and gently but firmly teach your children that while they may select anything from their shelves to work and play with for as long as they wish, they must return it when they are done, and may not remove something new until the last thing has been put away. Some toys are better when used together with other toys-a set of building blocks and a collection of toy cars, for example. All you need to do in this instance is incorporate the two toys into a collection. Children can easily learn special rules, such as the idea that the toy cars and blocks go together, and it’s OK to play with them at the same time. The key idea is to get all of the toy cars and blocks returned to the shelf before your child goes on to the next project. Photographic labels Use photos on storage containers to help your child return things to the right place. You can also place a photo on each shelf showing how the entire shelf should look when all the toys, games, books and other items are stored there have been placed in proper order. This allows the children to use the photo as a control of error whenever they take the materials off the shelves to play, work, dust, polish, or inspect them for damage. Practical storage I strongly recommend against toy boxes. Set up low shelves to hold your child’s books, toys, and games in his bedroom and in those rooms around the house where you and the family tend to spend time. Find ways to contain toys with many parts to keep them from going everywhere. Usually, this would involve using some sort of container that is large enough to hold all the pieces and sturdy enough not to fall apart or look tattered with use. Depending on the nature of a particular toy, a heavy plastic container, a strong basket, a sturdy wooden box, or perhaps a large jar or bowl, are good options. Defined work/play areas You probably don’t want your child finger painting in the middle of your living room rug. You certainly don’t want her painting on the walls either. Think about each toy and activity that you are going to make available to your child, and determine where each can be used safely without creating a mess that would be difficult for your child to clean up. Some activities ought to be done in the kitchen or in a room that has a tile floor that makes it fairly simple to clean up spilled food or paint. Some might be okay to use in the family room, but not where people will have to step over them as they come and go. Still, others are outdoor activities, such as woodworking or throwing balls, and need to be done in the yard. Establish your plan and then teach your child how to do things correctly, rather than punishing or criticizing for making mistakes. If you do find your child using a toy in the wrong place, redirect him to move to where this activity belongs. If a mess has been made, it is reasonable, depending on your child’s age, to expect him to clean it up, or to at least help. This often doesn’t work well with toddlers. With them, prevention is the only defense! Don’t allow them to get access to something that they should not use. Some things are fine to work or play with on a sofa. Some are best done at a table. However, many of the activities children enjoy they find most comfortable doing on the floor. Give your children small rugs or mats to define their work/play area. Toys and puzzles have a tendency to spread out all over a room if you don’t help children to contain them. A small floor mat or rug defines an excellent work/play area on the floor. For larger projects, such as a giant city built of blocks, your child can use two mats together. Teach your children how to roll and unroll their mat for storage in a large basket. Think about how your child can safely and carefully carry each toy or utensil from the shelf to where they want to work and play. Often the best way is to carry a toy in its own container. Some toys, games, or utensils are easily carried by themselves-a doll, for example. Others involve many pieces, and sometimes the set is too large or heavy for children to carry. In this case, provide small trays that your child can use to carry enough pieces to work with in one or more trips. Keep in mind that children do not automatically know how to carry things on a tray without spilling, so you will need to demonstrate and let your child practice. Small baskets may be easier for a child who finds using a tray difficult. Teach your child to take care of her toys and other belongings. Rather than punishing her if she breaks something, or simply buying a replacement, take the time to show her how to use things correctly. When a toy, game or anything else is broken, see if it can be repaired, then make that process a lesson itself. Encourage your child to help you repair things and teach her how to do simple repairs herself. Demonstrate how you personally take care of your family home and encourage your children to do likewise on a daily basis. Draw their attention to the small details, such as picking up stray pieces of paper, beads, or other debris from the floor. Beautiful toys Children respond to the beauty of natural materials such as wood, silver, and brass. Select toys, tools, and other everyday items that your child will use on the basis of their appropriate size, ease of handling, and beauty. When you choose trays, pitchers, and other utensils for your child to use in everyday life skills, avoid cheap plastic things-look instead for the most attractive materials that you can find and afford. The aim is to design activities that will draw your child’s interest and create a prepared home environment that is harmonious and beautiful. As parents, we often feel the need to direct our children, but Montessori believed we should follow them instead. How much time do you spend watching your child? I don’t mean watching half-heartedly while you are doing something else. I mean focusing your attention completely on your child for an extended period. There is no better way to begin using Montessori’s principles in your home than by sitting back and observing what your child is looking at, what he says, and what he does. Children have so much to teach us about their needs and interests if we will only take the time to pay attention. How to observe You may want to keep a bound notebook or journal in which you can make notes and keep a record of your observations. Regularly set aside some time to observe you child. Sit somewhere comfortable close to him so that you can easily see and hear him and any other children with whom he is playing. Make notes every so often about what you see. Over time, your notes will form an interesting record of your child’s behavior at different ages, as well as helping you to notice if a pattern of behavior is emerging at a particular time. Try to interpret what your child’s behavior means. When you notice that your child displays an interest in something new, try, without overwhelming him, to nurture it. Think about ways to introduce some new activities that will appeal to your child’s activities and achievements. What to observe Remember, the only thing that you can count on day after day with children is that, as they grow, their preferences, interests, and abilities change in unpredictable ways. Every time you observe your child, try to forget about previous experiences or perceptions and focus on what is really happening right now. While your child is playing, notice which toys he selects. How does he use them? Does he tend to play alone, or with others? Do you notice any patterns over time? Watch how your child moves about the house. Does he move from place to place quietly, moving gracefully, or does he race about? Is there a room in your home that your child prefers to be in? What seems to attract him to that room? When eating, note what your child most enjoys. Can he drink without spilling and use a fork and spoon appropriately and with good eye-hand coordination? How does your child behave at mealtimes? Is this a time when he likes to talk about his day? As you observe, think twice before you interfere with your child’s activity. Your goal in this exercise is to learn from what he is doing, not to keep jumping up and correcting him.